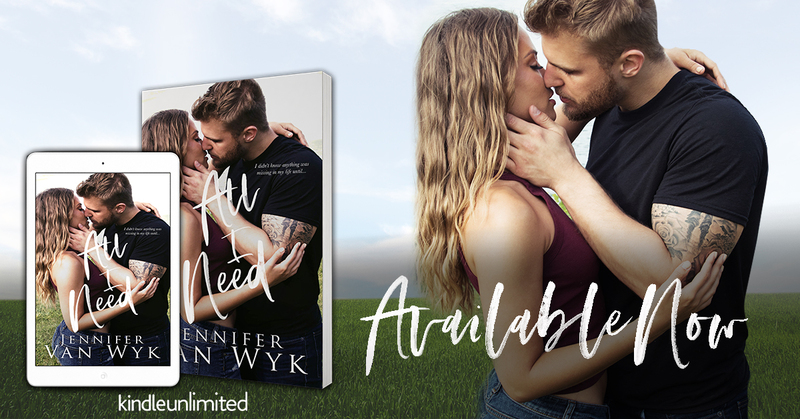 All I Need, an all-new emotional standalone from Jennifer Van Wyk is available NOW! This is my first book by Jennifer Van Wyk, I can honestly say, it will NOT be my last. For me personally, this book took on a whole new caliper. I absolutely adored it. Everything about it. This author knows how to write about swoony heroes and strong sassy heroines that have been put through the ringer, and fight their way out of it. I am a sucker for pets as well, add in a hunk of man and add in some of the funniest one liners and it's a wrap for me. All I need is also told in DUAL POV, so we get to get inside Walker and Ellie's head as well. Walker is this amazing guy, with this ginormous heart that has more love to give than you could ever fathom. His gentleness with pets, and his giving heart knows no bounds. Family is his everything. Ellie has been burned in the relationship department more than once, but catching her fiance on their wedding day with a her maid of honor, really takes the cake. Trust has always been an issue with Ellie, because not only did she grow up feeling detached, every person that has been in her life has done her dirty, and for that, she is over people in general and is not willing to put herself out there for people to trample over her heart anymore. But let's not get it twisted, she gives hell right back. Throw in the fairy godmother also known as Miss Polly and a 15 year old boy, and things really get going. There was some things that I really didn't see coming, that shocked the crap out of me. So the surprise value of it left me with my mouth gaping open. Overall I sincerely enjoyed this story. I can't wait to see what this author comes up with next. 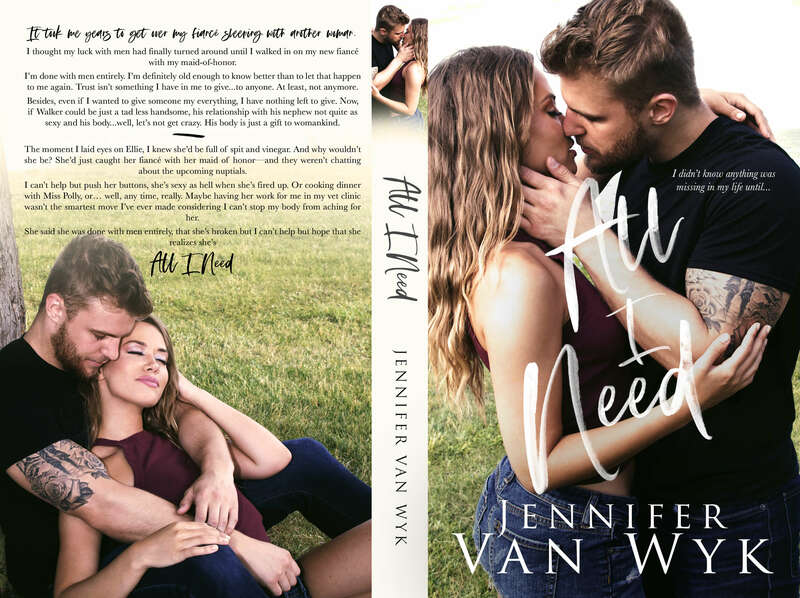 *I definitely recommend All I Need by Jennifer Van Wyk.